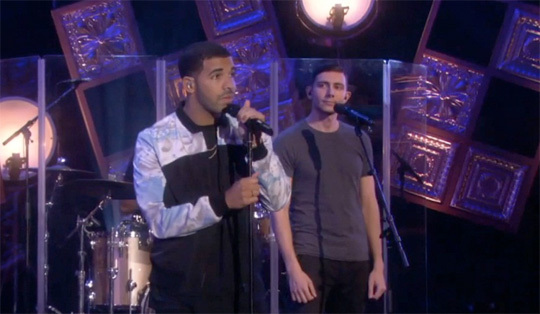 Singer Majid Al Maskati and producer, Jordan Ullman formed Majid Jordan in 2011. They signed to Drake’s OVO Sound label after his producer, Noah Shebib heard their first EP, Afterhours. In the last 5 years, Majid Jordan has assisted Drake on “Hold On, We’re Going Home“, peaking at #4 on the Billboard Top 100 back in 2013, and dropped an EP and 2 studio albums. Impressive right? WRONG. Majid Jordan has been a disappointment. They have not had a Billboard Top 100 hit since then. Don’t get me wrong, they are immensely talented. The duo brings a unique and soothing sound that sticks out amongst their peers. You would think they would be able to crack at least the Top 100 without a Drake feature. But I guess not. Majid Jordan has been touring the world off the release of their second studio album, The Space Between which released in 2017. On September 7th, the duo dropped two new songs, “All Over You” and “Spirit”. Finally, some new music! I’m personally excited to see what they have in store for us. I really do feel like it’s now or never for them. If they are going to blow up, now is the time. I’m not asking for a top 10 banger, I just want a good song that will finally crack the Billboard Top 100. Let’s see if Majid Jordan can be successful without Drake. If not, they will continue to fade to irrelevancy.